October 2013 - Lochearn Summer Camp for Girls - Our Girls Sleepaway Camp Blog! The leaves have started to fall and the sounds of the lake are so different without the laughter of happy campers. The office is humming with phone calls and excitement of campers enrolling for the 2014 summer season. The painting of the inside of the cabins is complete and the docks have been pulled. The Alpine Tower looks amazing perched next to the pavilion. What a great addition the tower and swing are going to be. So what is this Alpine Tower? 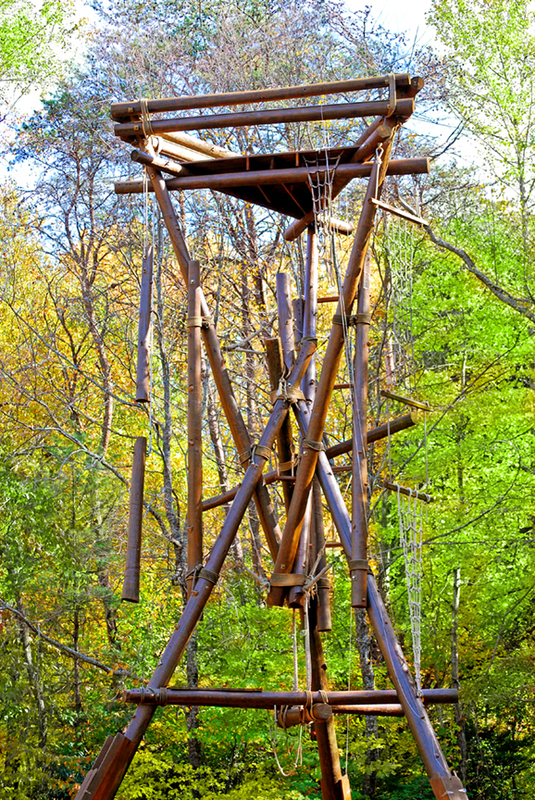 An Alpine Tower is a climbing structure that is designed to give any aged participants a very unique and safe adventure experience. It is a fantastic tool for team building and for bringing cabins, staff, and individual campers closer together. It is also a great setting that fosters communication between our Lassies and also provides an opportunity to boost self-esteem. The Alpine Tower is 50 feet tall and boasts both high and low challenge elements. The number of participants on the Tower can range from as little as 2, to as many as 36 at the same time! Some of the challenge elements are called The Corporate Ladder, The Missing Link, The Cargo Net, The Diabolical Karma Seat, The Dangling Duos, and many more! Plus there is an extra surprise. A HUGE SWING!! With the seasons changing, enjoy the extra time with family and friends. This entry was posted in Camp News on October 21, 2013 by Lochearn Admin.